WBJEE JENPARH II Admit Card 2018: Dear applicants we are here to announce the notification from West Bengal Joint Entrance Examination Board. The organization will go to release the admit card for Joint Entrance Examination through official website on 18th May 2018. Because the officials will be held the Common Entrance Written Test on 27th May 2018. Every year the WBJEEB had conducted the Common Entrance Test for who want to join courses like B.Sc. Nursing, B.P.T, and B.A.S.L.P courses. So the candidates who have successfully completed the application process and wait for the WBJEE JENPARH II Admit Card 2018, this will be a good news for everyone. The eligible candidates will download their WBJEE JENPARH II Admit Card 2018 through official website www.wbjeeb.nic.in. To download the West Bengal JEE JENPARH Hall Ticket 2018, everyone needs login details of the applicant, without these details not possible the process. Through this article, we have provided theWest Bengal JEE JENPARH Hall Ticket 2018 link directly at the end of this page. Check the official notification to know more details of Admission Test. More information on WBJEE JENPARH II Admit Card 2018 has declared below. The West Bengal JEE JENPARH Hall Ticket 2018 will be available soon to download. The WBJEEB will officially upload the candidate admit card through the website. The applicants who will need to appear in the entrance examination process of JENPARH II then download the hall ticket on 18th May 2018. Every year the organization had provided the admissions in various colleges and various institutes in West Bengal state. Now this will be the time to participate in the entrance exam B.Sc. Nursing, B.P.T and B.A.S.L.P course on 27th May 2018. So we advise every applicant will download the admit card at least one week before the exam when declared. For more details about WBJEE JENPARH II entrance exam keep follow us at Sarkari Recruitment. The candidate will not allow to exam center without admit card to appear the entrance exam of JENPARH. Because the hall ticket had common details for any competition and board examination process. Need to carry any identity card along with admit card issued by a state or central govt like PAN, Voter, etc. Aspirants need to check the information when it downloaded. If have any corrections then immediately inform to higher authorities of examination board. Need to come in exam center before 20 minutes of exam time and read the instructions behind the admit card. And other details like notification, steps to download the admit card, essential dates belongs to disclose card, information in hall ticket and documents need to carry for the exam, etc. have provided below. Interested candidates will also check the All India Exams Admit Cards through this page. The WBJEE JENPARH II Admit Card 2018 will play a key role in the examination hall. The exam invigilator will not permit the candidate to sit in the examination hall without West Bengal JEE JENPARH Hall Ticket 2018. So all the participants should remember all those things and carry the WBJEE JENPARH II Admit Card 2018 for the examination center. The board authority of the West Bengal Joint Entrance Examination Board will print needful information about the examination and the applicant details. With the help of this WBJEE JENPARH II Admit Card 2018, exam invigilator can quickly identify the applicant in the examination hall. We suggest all the exam takers that, must and should get the West Bengal JEE JENPARH Hall Ticket 2018 one week before of the examination. The exact link will be activated by the board officers on 18th May 2018. Aspirants should download the Hall Ticket and appear for the examination on 27th May 2018. The West Bengal Joint Entrance Examination Board will conduct the Common Entrance or admission test every year to provide the admissions for interested candidates. In admission process, the organization initially conduct the written test through online or offline. Qualified candidates will need to participate in counseling process directly. The counseling process will depend on cut off marks and performance of the candidate in the exam. For more details check the notification of WBJEEB. Everyone needs to carry any identity from below specified along with hall ticket for security purpose at the exam center. Applicants need to follow the below steps to download the admit card from official website of WBJEEB without any conflicts. Candidate will need to visit the official website of WBJEEB, www.wbjeeb.nic.in. Search for the WBJEE JENPARH II Admit Card download link. Click on download link and enter the required details like application number, date of birth, etc. Submit the entered details, and it displayed on the screen. 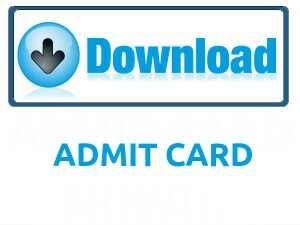 Download the admit card and check information. Take a hard copy of admit card and submit it to the exam center. We have covered almost all details belongs to WBJEE JENPARH II admission test and admit card status through above article. If there will be any query leave a comment in below comment box for further clarifications. Keep following Sarkarirecruitment.com for more updates like Recruitments, Results, Syllabus, etc. Thank you.